Meigs County officially turns 200 this year, with several events planned as part of the Bicentennial celebration. Former from portions of Gallia and Athens Counties on Jan. 21, 1819, Meigs County is named for former Ohio Governor Return Jonathan Meigs Jr. As part of the Bicentennial celebration, a Civil War reenactment is planned, with the 7th Ohio Volunteer Cavalry as the host. 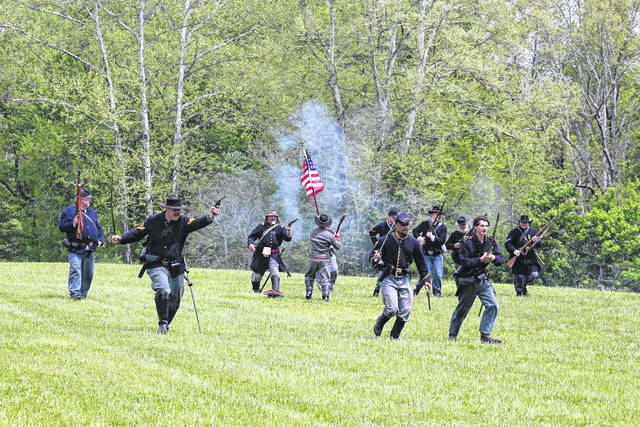 Pictured here, the 7th Ohio Volunteer Cavalry takes part in a previous reenactment.